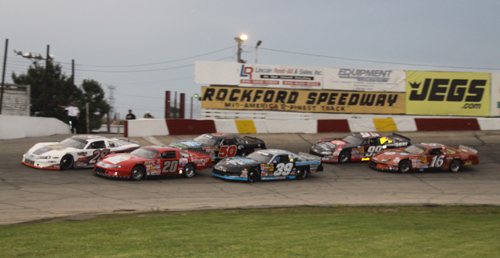 The field in the Mary's Dashes for the Stanley Steemer NASCAR Late Models race out of turn four to take the green flag to start their evening of racing at Rockford Speedway. 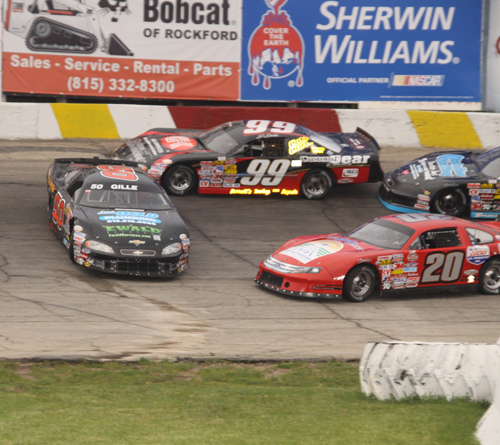 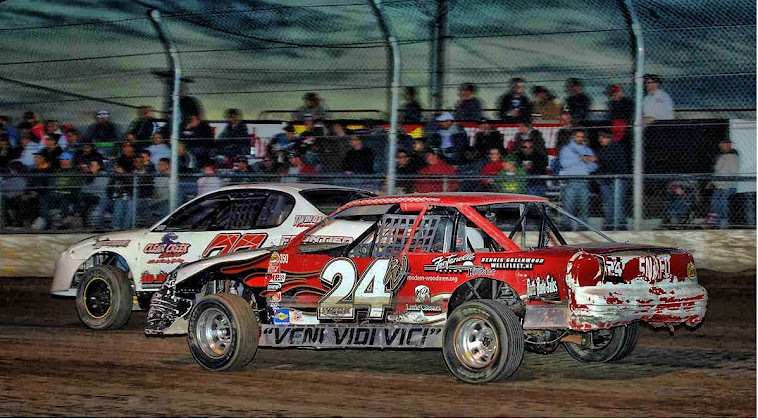 Jake Gille # 50 Machesney Park, Illinois spins in front of the field as others scramble to avoid making contact. 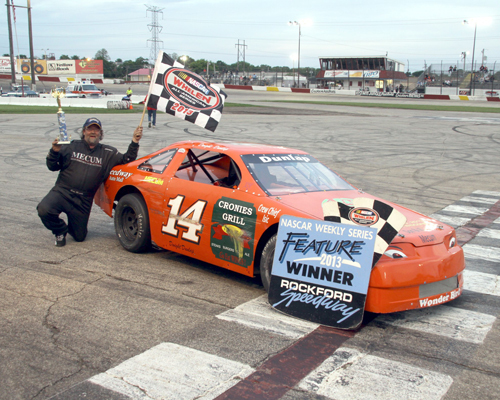 Dwight Dunlap #14 Machesney Park, Illinois would take his first checkered flag of the year in the Allison Legacy feature. 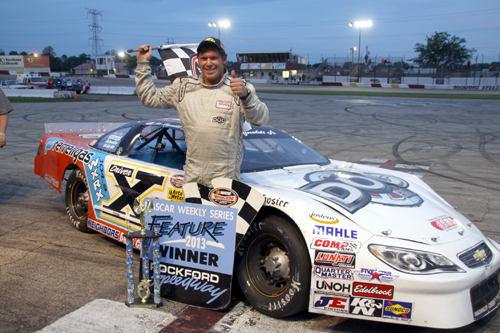 No stranger to victory lane is Driver 'X' John Reynolds of Rockford, Illinois as he gives a thumbs up after winning the Late Model 30-lap feature. 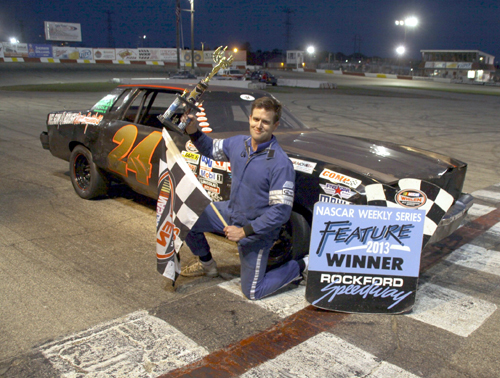 Arlyn Roush # 24 Woodstock, Illinois made quick and daring moves on the way to his victory in the Rockstar Energy Drink Roadrunner division's 20-lap feature. 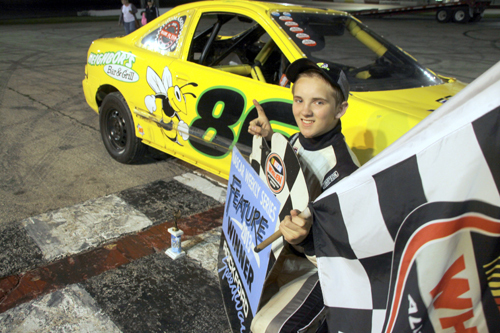 Kodee Busekros #86 Machesney Park, Illinois gives the #1 sign in victory lane after being declared the winner of the Crap Scrapper Hornet feature event of the evening. 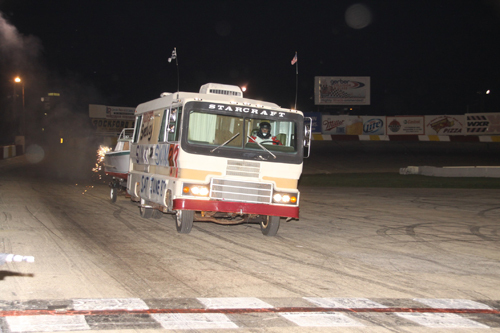 Big Ben returns to Rockford Speedway for his Splashtastic Swimming Pool races up the front stretch in his RV to attempt to make his jump. 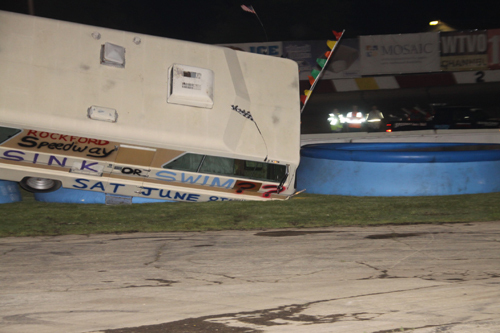 Big Ben's RV takes a hard nose dive as he is about to take out one of four swimming pools.